Home / Design / Free / Graphic Design / InDesign / Lucid / Lucid Press / Publisher / Quark / QuarkExpress / Scribus / Thank You / Thank You Card / Tutorial / How to write a "Thank You" card using Lucid Press (Free InDesign alternative). 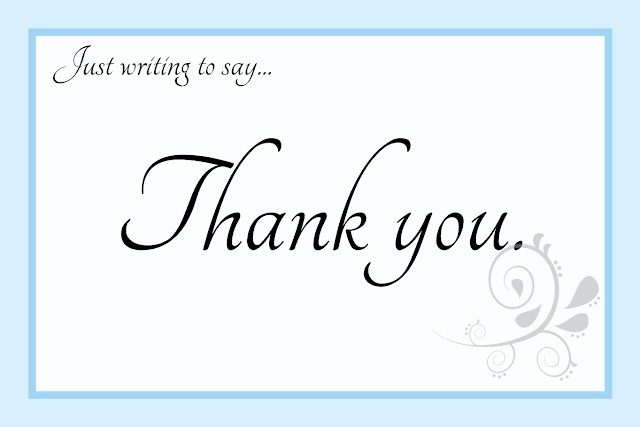 How to write a "Thank You" card using Lucid Press (Free InDesign alternative). Lucid Press is desktop publishing software similar to InDesign, Quark, Microsoft Publisher, or Scribus. Something that is nice about Lucid Press, and that distinguishes itself from these other programs, is that Lucid Press in all online and on the cloud. It even allows for collaboration and sharing of documents. Lucid Press is quite easy to learn. After the holiday season, I needed to write a bunch of thank you cards, so I did it in Lucid Press. This is advantageous because I can print out the thank you cards or I can send them digitally. In this tutorial I will show you how to create a simple thank you card using Lucid Press. If you don't already have an account, you can sign up for an account with Lucid Press here. There are different levels of accounts. I am on a Pro account, but everything done in this tutorial can be done in the free account. First, you will need to create a new blank document. Press the "+Document" button, or right click and create a new blank document. Click on the document title to rename the document. I named my document "Thank you card template" because I will turn this into a template that I can reuse. Next, change the document size properties. I did a custom size of 6" x 4". I like this size because it can be printed on photo paper and is a good size for a thank you card. You can choose whatever size you would like though. Now I will zoom in to make it easier to see. I usually use shortcut keys (Ctrl + or -) or you can go to View>Zoom in or Zoom out. If you click on the page, you can change the page properties and change the background color. I will choose a light blue color. I like to view the margins so I can create a card border. If margins are not already enabled for you, you can go to View>Margins>Show Margins. I set my margin to .3 inches. Now I will add a rectangle shape to use as the main body of the card. On the left side of the page you can click on the shapes icon and select a square shape. You can click and drag on the square to move it onto the page. I resized my square to be the same size as the margins. Dragging and resizing will snap to margins, guides, or other shapes. Click on the new shape so that it is highlighted, then on the right, go to the shape pane and change the opacity (I did my card to 90%). Increase the border pixel size to something larger (like 5) and change the color. I did a darker blue color. On the left side of the screen click and drag on the "Text" icon. Once you drop it onto the page, you can write "Thank you." On the text pane on the right side of the page (it shows up when you have the text box selected) you can change the alignment to "center." If you click on the word "Alignment" you get more options and you can change the vertical alignment to "center" as well. To center it on the page you can just drag the text to where you think the center is; some alignment guidelines will automatically show up to indicate the center of the page. Highlight the text, then change the font to a font you like. You can click on the font size or type in a size to increase the size. It is ok if you don't really like the font; you can always change it later. Lucid Press has many fonts available and if you are on a pro account, you can even upload your own fonts. With the text selected, you can copy the text (Ctrl+c) then paste it (Ctrl+v) and move it to the top of the page. Change the alignment to the left and make the font size smaller. Now you can type something like "Just wanted to say..."
If you want a design on the card, you can do some Googling for a design you like. I prefer to go to openclipart.org because the images you download from there are free to use. I found a design I like on page 10 and downloaded the large PNG version of the file. In Lucid Press you can either drag the image directly onto our thank you card, or you can press the image icon to open the image manager. This will allow you to upload an image. Click on the image in the image manager to add it to the page. When you resize the image, hold the shift key down so that it retains its aspect ratio. Move the image into a corner of the screen and turn the opacity down so it does not take over the focus of the text. Awesome! I decided that I want to change the font. It is likely that what you see is different from what is on the screenshot below because I have uploaded many fonts. Now that you have the main page done, you can create a template from this page to make a second page easier to make (or you can just copy and paste this page). To make a template, (with the page selected) go to Page>Create Page from Template. Give the template a name that makes sense to you. Click on the page icon on the top left and select your newly created page template. On the new page, change the top text to say something like "Dear whatsyourface." Copy that text and paste it to the bottom of the screen (remember Ctrl+C for copy and Ctrl+V for paste). Change the text to say something like "Sincerely, myself," and change the alignment to "right." Now you can move the design. Click on the image, then click on the layout pane (top right). You can reverse the image (flip horizontally), then in the image pane lower the opacity even more. Make the design smaller. Copy one of the text boxes and resize it so that it fits most of the card inside the margins. Change the alignment to "top." This is where you will write the thank you card content. Now we can save this page as a template page (we don't really need to for this particular card; I think it is just good practice). Go to Page>Create Template from page. Now you are done! If you want to write many thank you cards though, you won't want to edit this directly but you will want to save it as a template. To do this, click on the Lucid Press icon on the top left and select "Back to Documents." In the documents list, right click the thank you card and select "Convert to template." Now that we have this saved as a template, click on the down arrow next to the "+Document" button. This will bring up a list of templates. Select the "Custom-Personal" template category and you will find your newly created template. Double click on it to create a new document using that template. Now that this is a new document, you can write your thank you card. At this point, you can either print the card or publish it so that it can be view digitally. For this tutorial you will publish it. Click on the "Share" button on the top right corner of the screen. Select "On the web." Change the name to something applicable then press "Publish." After it is published, a link will automatically be generated for you. You also have the option to customize your link. I customized mine and you can view my thank you card at http://pub.lucidpress.com/thankyoubob . Now just share that link with whoever you want to give a thank you card to and you are done! Congratulations! You just created a nice looking and simple thank you card using Lucid Press!